We always resist letting go, and sometimes we resist making necessary sacrifices (Hanged Man, reversed). 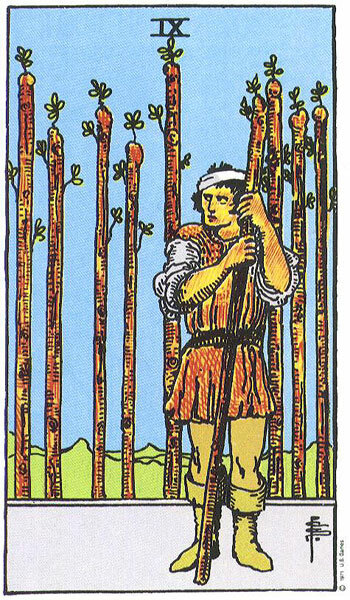 Instead, we build a cage around ourselves and persist doggedly in our present course of action (Nine of Wands). But there is a time to persist and persevere and a time to let go. Now, no matter how much denial we may be in, we still can see the writing on the wall. We know we have to let go eventually. When that happens, our perspective will change, and we will be able to move on. 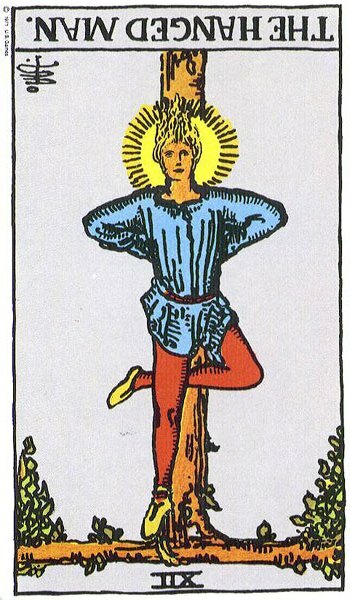 Next Does it matter if you “believe” in tarot?